Toothbrush Germs - Is Your Toothbrush Harming More Than Helping? Whenever you go to clean anything in your house, car, or office, you make sure that the cleaning supplies you start with are fresh and clean, right? What’s the point of spreading around gunk? Well, you might not think about it much, but the same thing applies with your toothbrush germs. Even more so, actually, because germs in your mouth can cascade into some pretty serious health problems that go beyond yellow teeth. The Rinse / Shake is Useless! Your toothbrush is one of those things that probably just sits in a cup or holder at your sink in the bathroom. You see it to much that you hardly notice it anymore. But take a close look the next time you brush and think about this – your toothbrush probably as millions of bacteria like E. coli and Staph swarming around the bristles, head, and handle. If your first response to this info is “But I rinse it off with water after every time I brush!” know that this effort does little to actually clean your toothbrush. The quick rinse and shake many people do after brushing, even with hot water, leaves behind most germs. Here’s why. The temperature of most bathroom sink water is not warm enough to kill germs like viruses and bacteria. The time you take to rinse is also most likely not adequate to do more than rinse of larger particles of food and debris. What you can’t see, basically stays. Ok, so where are all of these germs coming from on your toothbrush? Think about this. Inside your mouth right this minute, there are about 150 different types of bacteria hanging out on your tongue, teeth, and gums. This is similar to what you might find on a typically floor in your bathroom. Then consider how bacteria land on your toothbrush throughout the day. You splash dirty water in the sink. The kids come and grab their toothbrush, brushing up busy, grimy hands against your bristles. You drop it on the counter while putting it away. Each instance brings more organisms. Every time you flush, particles fly up, go airborne and land all over the bathroom, including on your toothbrush. You might think you’re protected by covering the head of your brush with a cap or putting your brush in a plastic container. Here, you have to consider that your brush is not able to dry. This means there is the potential for mold, and bacteria spread in moisture. So, how to keep your toothbrush clean? FIrst, make sure you get a new toothbrush about every 3-4 months. Some toothbrushes allow you to replace just the head. In this case, get a new head, but also follow good cleaning protocols for keeping the handle clean as well. Also, make sure you remove the head to clean inside where it connects to the handle. This is a hot spot for debris to gather. Make sure you use an ADA-approved, germ killing toothpaste and clean your toothbrush bristles. The best idea is to put your toothbrush in hydrogen peroxide for about 5 minutes. You could also use a antibacterial mouthwash to clean your brush. Just make sure you leave the solution on the toothbrush long enough to be effective. Don’t touch the toothpaste dispenser to your bristles. When the whole family uses the same toothpaste, everyone is potentially spreading germs with the tip of the toothpaste tube touching everyone’s bristles. Hold the tube dispenser above the bristles and let the paste drop. Don’t squish it into the bristles with the dispenser. Store your brushes so they don’t touch each other in an open, but covered area. This might be a medicine cabinet, bathroom closet, or cabinet. If the bristles feel wet after storing all day, there is not enough air flow. You want your bristles to be dry as much as possible. 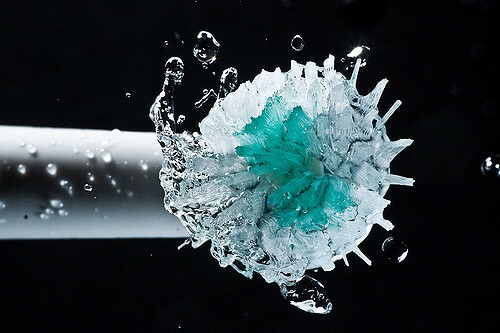 You can also clean your toothbrushes in the dishwasher with water temperatures that get high enough for sanitizing. Just don’t put in your whole electric toothbrush if you have one! Just the heads. And finally, whenever you flush the toilet, be sure to close the lid first. Keep the splash and spray to a minimum with this one simple step. For more information on the best toothbrush to use for your dental needs, and how to keep it clean, contact Murfreesboro Family Dentistry to keep you and your family safe and healthy!